During a trip, the most exhausted part of our body is our feet. It doesn't matter if you still have the energy to see another museum or walk another mile, if your feet are tired and aching or worse, got injured, you certainly not going anywhere else. The last we want to happen is to break our ankle or sprain our legs while travelling. If you have a headache or sour stomach, you can easily solve these issues by taking a pill or two. However, if you have a sprained leg or broken feet, you might as well cancel your trip or delay your tours. These are the reasons to invest in a good pair of walking shoes even if you will mostly be walking on a concrete. How many times have you tripped while sightseeing or running for a bus or ran into an accident resulting in hurting yourself? Pretty often if you think about it, isn't it? If I'm staying at home and I hurt myself in the park or on the way to the grocery, I won't be so upset, but if this happened while I'm on a month-long holiday, I would be very annoyed and wished I've prepared better. In the last five years of travelling, I've had a few different shoes in the beginning until I decided to minimise my luggage, I ended up only having one pair of shoes and a pair of flip-flops. Because of this, I had to make sure that I have the best shoes that will be suitable for the trip I normally do. 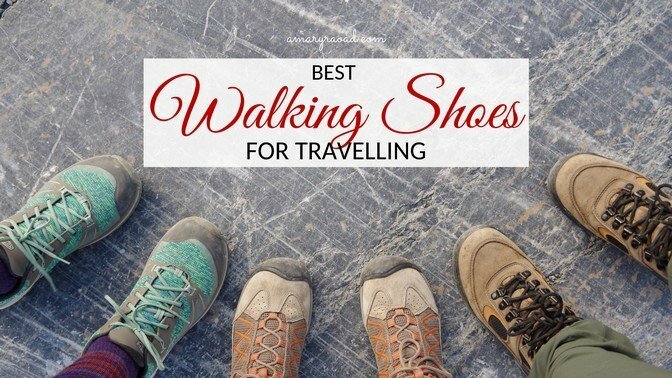 In this article, you will find out the best walking shoes for concrete while travelling. I will feature its pros and cons to help decide which one fits your need best. I will also help you find out the best feature to look for a pair of walking shoes. Do this shoes offer good arch-support? Can I change the insole or is the insole removable? What is the outsole made of? Can this shoes do other outdoor activities? How to know if this is the best walking shoes for me? Here are the important things to consider before ordering or buying a pair of walking shoes. Make sure to tick these off your list to avoid disappointment and waste of money and time. Once you board your plane, you should feel comfortable and at peace because your luggage has everything you need which will not put your life at risk and will not waste your holiday. There are just too many materials a shoemaker can use. Some people, like me, is not comfortable with plastic or leather and that's a personal choice. Remember which you feel more comfortable, every person's feet are different and need a different level of comfort. If you are not sure which material is best for you, you can ask questions like; is this breathable, is it fast dry, can it be cleaned in a washing machine, is it Eco-friendly? Whatever material you go for, make sure to buy a pair that is made of the highest quality. Like I always insist on other travel items I have reviewed, always always check if the weight bothers you or not. I highly suggest a lightweight product to save space and free myself from adding another kilo on my back. If you prefer checking in your bag, weight should not be an issue. However, if the shoes are too heavy, your feet might suffer too, which obviously defeat its purpose. Don't let yourself look like a slob while travelling, keep your sense of fashion while making sure you are comfortable. Nowadays, many great walking shoes come in different colours and designs. When you finally found the walking shoes that you wanted, it's time to check if they have the colour you prefer. Is it waterproof or breathable? Can you change the insoles in the future? Does the company allow a lifetime warranty on soles or laces? Do they offer a worldwide warranty? Does the company have a store or service centre in top cities? I personally believe that not all affordable products are the best and I also believe that not all expensive products are worth your hard-earned money. Price is one the biggest factor when investing in an item where you will have to rely very often on. Does the price of this shoes be reasonable? Comes with great features? Meet all your needs? Or does this shoes sounds too budget-friendly and you are feeling concern? I guess what I'm trying to say is that, don't let the price intimidate you. Put enough time and do your research. If you are still undecided and stuck between two kinds of walking shoes, sleep in overnight and think again tomorrow. Never rush in deciding. Before purchasing, put an extra effort to read reviews. Make sure to only read reviews where people who actually bought the product can leave a review, like Amazon. 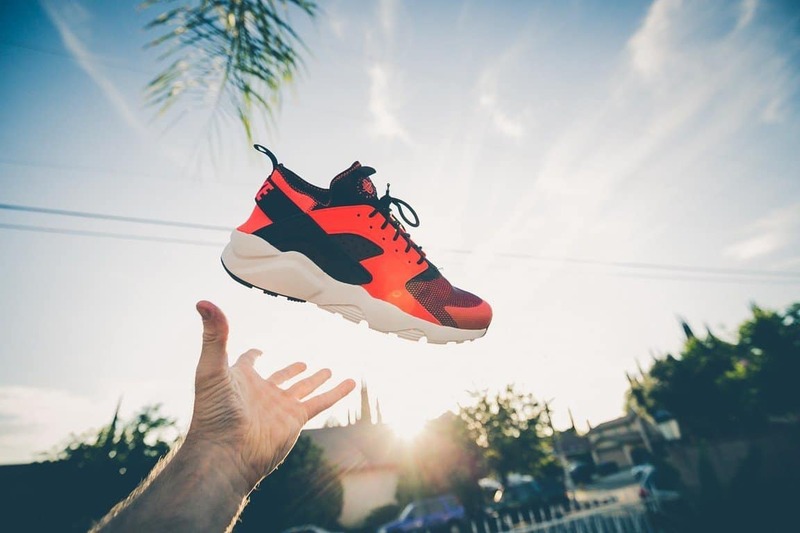 If you have friends who are into shoes or have travelled before, perhaps, you can ask for their honest opinion in case they are familiar with the said product or have a first-hand experience. Here are some questions to help you track down the best walking shoes for concrete while travelling. Make a small checklist, bring it to the shop or have it next to you while browsing online and have it as a guideline. Don't be worried about asking a salesman in a shop, you have every right to know everything about a product before buying it. Is one of the top question I ask before I purchase walking shoes. Personally, the arches of my feet are the ones that get tired first after a long walking or run. Therefore, I will always go an extra mile to find out if the shoes I'm about to buy will be good enough for me. If your arches are never a problem, you probably don't have t o worry about this too much. The insole is the sole inside the shoes. It is important that they can be changed or removable because sometimes, after using your shoes in a while, the insoles lose its quality, get too hard or to too flat - if that happens, you know it's time to change it. It is pretty often when the shoe frame or the actual shoes are still in great shape, however, the insoles need a replacement. If you buy shoes where its insoles can be removed, you can save a lot of money and time, because all you need to do is buy a new one and replace the one ones. The outsole is the one that is at the bottom of your shoes, the one that contacts the concrete. The outsole of the shoes also plays a big part. Most people prefer a thick rubber type to give them the ease of moving your feet and landing on hard rocks or uneven concrete. The outsole play as the guard of your feet from nails, glasses, and other sharp objects that can cut your skin. You definitely should get an outsole that can tolerate any objects on the ground. These shoes' main job is to give you comfort and keep you safe when walking on the concrete. However, it wouldn't hurt to see if this shoes can also do other things. For example, my walking shoes are best for the city trips, while, it can also survive a mild hiking in tropical countries, and can take me on a short and quick run. If these activities are not on your list, then this question should not bother you. The thing is, it won't be an easy task. But if you have asked the questions above, checked everything on your list, it will be time to visit a shop and try it on. If you are ordering online, make sure to get one that you can return in case it doesn't meet your expectations. TIP: Scroll past below the comparison table to see the photos of each shoes and their features. Below, I will describe different shoes for women, for men, simply scroll past this section or go back to the table of contents. I will also feature here each shoes' pros and cons, availability and colours and its best features. Why is it one of the best walking shoes for concrete? When I was looking at this shoes, I was super excited how many reviews it has on Amazon and the fact that it has 4.5 stars. I kept reading its description to see if it matches my needs. It has everything that I want' breathable, lightweight, and lots of colours available. I also love that it has no shoelace. If you travel with only carry-on how important it is to only pack the useful things and more likely something I can use not only for one thing but another purpose as well. Easy Spirit Women's Romy Shoe is actually both for walking and running. It designed to look after your arch as well. 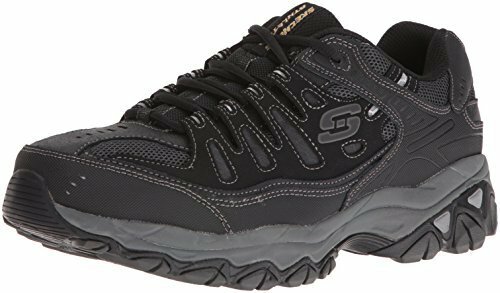 Skechers made very stylish walking shoes for women. It's very lightweight and has a 1.25-inch heel. Although it's only recommended to be used for walking, it has an amazing arch support and a mid-sole cushioning to keep you comfortable. 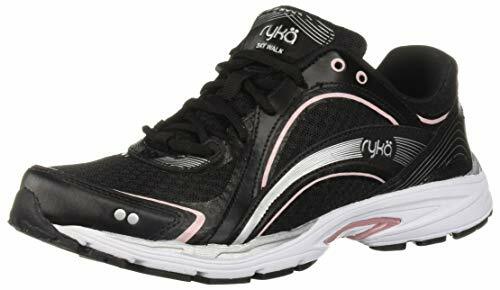 If you are looking for walking on the concrete all day, Ryka's Sky walking shoe is probably the best for you. It has a breathable mesh with supportive leather overlay. It also has memory foam sockliner without being heavy or too bulky. For design and comfortability, there is nothing more fit than Saucony's ProGrid Integrity ST2. It has a rubber sole and is made of full-grain leather. It also has amazing padded tongue and durable collar to add more comfort. You can wear them and walk on a concrete on a long period of time without any agony while wearing it or after taking it off. TIP: Scroll through to learn more about each shoes; their features, cons, and other information. Here, I reviewed walking shoes for men that offer different features. Find out which one fits your needs, budget, and expectations. Of course, I will also mention some cons to be transparent with you and each shoes' features. Skechers is obviously not behind the trend of best walking shoes for men. 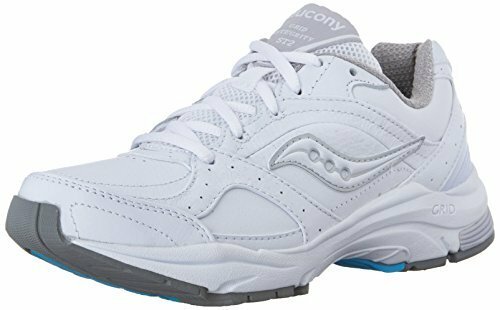 This specific shoe has great features such as supportive overlays and padded collar, cushioned mesh tongue, and of course an insole with memory foam to make your feet comfortable while walking. This shoes can also be used for jogging or trail hiking. 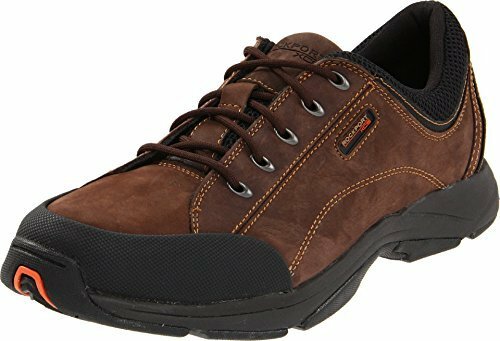 If you are willing to spend a little more for a long lasting pair of walking shoes, Rockport's Rockin Chranson walking shoes are great for those who walk a lot and stand all day. It has a synthetic sole, premium suede and leather mesh. Its footbed is also latex cushioned if you don't have a lot of problem with your feet, you won't need any inserts plus it has a 1.25-inch heel. 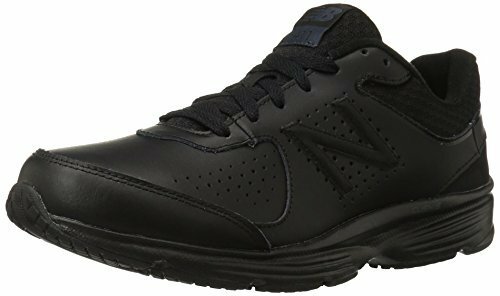 If you want shoes for travelling but also something you can wear at work or when you get home, New Balance's MW411v2 is your guy. It has classic synthetic and mesh features, mid-sole cushion, walking strike path technology, and padded tongue and collar. It provides great comfortability even if you try it for a long walk and standing all day fresh from the box. 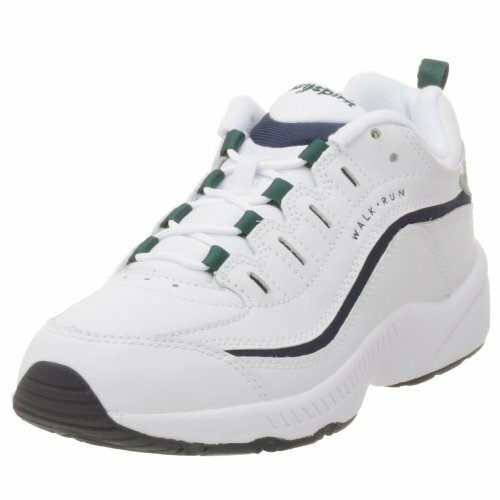 Skechers made Go Walk 4 for men as well. 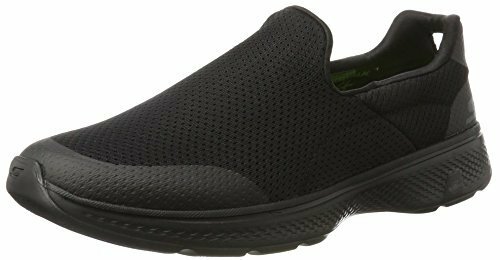 This walking shoe is a slip-on type of shoes without lace. It is very lightweight, improved arch supports, and bamboo-lined footbed for odour control. This shoe is great for purely walking especially on concrete, however, you won't be able to use it for running. 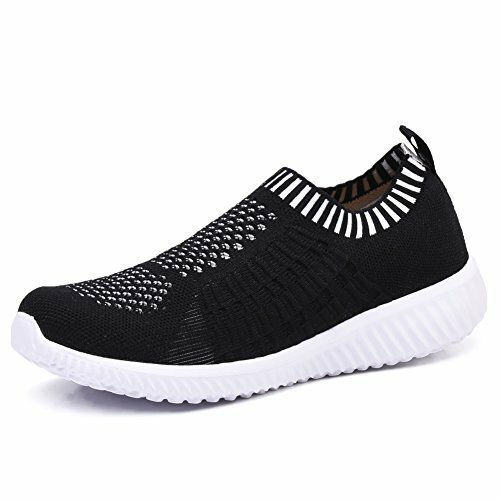 Although I know that everyone has different taste in which walking shoes is the best because we all have different needs and things we are looking for a pair of shoes, I would like to share what I think is the best one on this list. 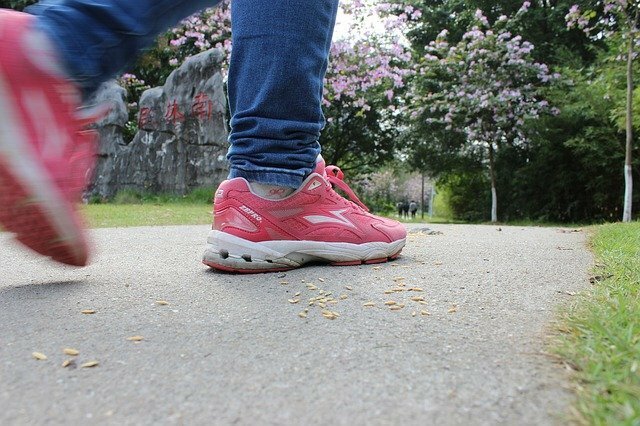 For women, if it's solely for walking, I would go for Skechers Performance Go Wak 4 Pursuit. It looks really cool, no lace, and while it still has arch support. If I'll go for a shoe that I can use both for walking and mild running, I'd go for Saucony Women's ProGrid ST2, but this is because my feet are fine even I use a mid-range running shoes. If you run a lot or have issues with your feet, you should definitely look for high-quality running shoes. For men, I'd go for New Balance MW411v2, it has great features that support the feet for long walks, while I'd choose Skechers' Afterburn Memory-Foam Lace-up Sneakers. Again, I'd only go for it if I do mild running. To make sure that your walking shoes will not only last long but will also give you the comfort every time you use. There are a few things you need to do and remember before you go on a long walk on the concrete and of course during and after the walk. Here are a few points for you to keep in mind on how to take care of your walking shoes. 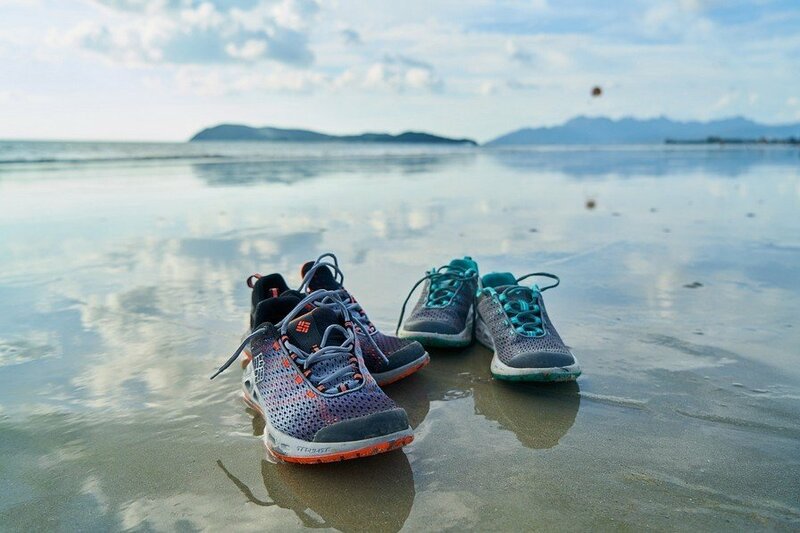 Before embarking on a long trip and walking, it is always best to order or buy your walking shoes between one month to two weeks before your trip. Once you receive your shoes, wear them around the house and get used to them. You should not be alarmed if you feel stiffness, however, if it causes pain on your heel and side toe, you probably should get a different one or a better sizing for your feet. Remember that many shoes can be too little or too big depending on its shape. The purpose of doing this is to make a feel of your walking shoes and get your feet comfortable. Remember that the heavier than shoes or the thicker its fabric or material, the longer the breaking in will take. Once you are comfortable using it in the house without no pain, it's time to bring it outside for a 10-minute to 30-minute walk and observe. After your walk, long or short, remember to not stuff your socks inside. Instead, place it on the top or have a rack for socks. Placing socks inside the shoes or on the top will stop it from airing out, this is the shortcut in making your pair stick fast. Taking it or in the balcony, no direct sun or rain, will also help in airing the shoes out, however, don't do it longer than a few hours. After this, store them inside a ventilated room. When storing your walking shoes, as much as possible, don't put anything on top of it to avoid deforming. Again, keep your shoes in a dry and ventilated room. Depending on the material, some shoes are safe to put in the washer. If this is the case, take out the laces and insole and set the water temperate to cold and use mild soap or powder soap, run it for not more than 20 minutes and use mild power. However, it is best to hand wash your shoes since a washing machine can be too rough. Take out the laces and mix soap powder with cold water, pick up an old toothbrush and start scrubbing the top including the toe or front area, tongue, and inside of the shoes. Then proceed in cleaning the outsold and underneath the shoes. Rinse the shoes 2-3 times in cold water until you are sure that no more soap is left. Dry your shoes outside but not in direct sun. Make sure that it's warm enough to dry it or else, letting your shoes wet for more than 24 hours can cause an odour that will be hard to get rid of. I really hope that you found this review article about the best walking shoes for concrete on your next trip useful. If you have questions, let me know in the comment section below. Although if it's regarding the shoes, I highly suggest you read reviews and ask the forum there.